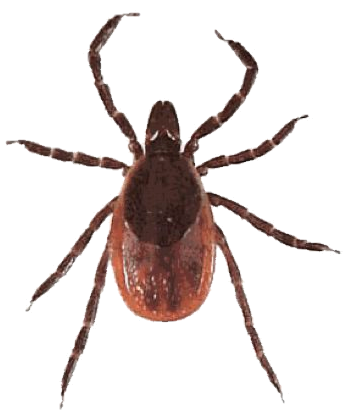 It is August, the month when a new generation of black-legged ticks that transmit Lyme disease and other viruses are hatching. On forest floors, suburban estates and urban parks, they are looking for their first blood meal. And very often, in the large swaths of North America and Europe where tick-borne disease is on the rise, they are feeding on the ubiquitous white-footed mice and other small mammals notorious for harboring pathogens that sicken humans. But it doesn’t have to be that way. A new study suggests that the rise in tick-borne disease may be tied to a dearth of traditional mouse predators, whose presence might otherwise send mice scurrying into their burrows. If mice were scarcer, larval ticks, which are always born uninfected, might feed on other mammals and bird species that do not carry germs harmful to humans. Or they could simply fail to find that first meal. Ticks need three meals to reproduce; humans are at risk of contracting diseases only from ticks that have previously fed on infected hosts. For the study, Tim R. Hofmeester, then a graduate student at Wageningen University in the Netherlands and the lead researcher of the study, placed cameras in 20 plots across the Dutch countryside to measure the activity of foxes and stone martens, key predators of mice. Some were in protected areas, others were in places where foxes are heavily hunted. Over two years, he also trapped hundreds of mice — and voles, another small mammal — in the same plots, counted how many ticks were on them, and tested the ticks for infection with Lyme and two other disease-causing bacteria. To capture additional ticks, he dragged a blanket across the ground. In the plots where predator activity was higher, he found only 5 to 10 percent as many newly hatched ticks on the mice as in areas where predators were scarcer. Thus, there would be fewer ticks to pass along pathogens to the next generation of mice. In the study, the density of infected “nymphs,” as the adolescent ticks are called, was reduced to 6 percent of previous levels in areas where foxes were more active.“The predators appear to break the cycle of infection,’’ said Dr. Hofmeester, who earned his Ph.D. after the study.